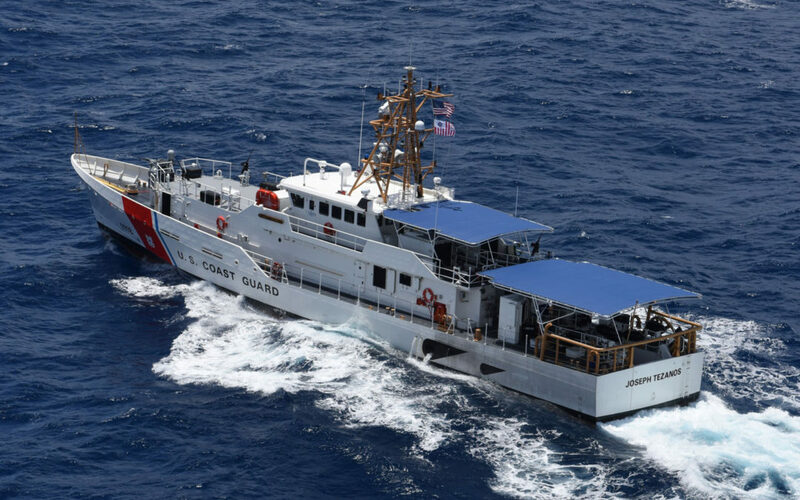 UPPER TOWNSHIP — The U.S. Coast Guard’s new Sentinel-class cutters are being deployed in missions to stop drug smugglers, rescue distressed fishermen and intercept migrants on boats. And a small Tuckahoe firm has developed a niche in this world of maritime protection. Inside a work garage in Cape May County, Pipe Dreams Marine, LLC is welding metal that will be used for awnings on the decks of 58 cutters the federal government is having built. The company consists of owners Donald and Kara Battin and one full-time employee. Their first one went on a ship in January 2012, the company said. The company did not disclose how much it charges. The anodized aluminum pipes are the bones of an awning that will shade the ship. The company’s 24th cutter project is the Oliver F. Berry, which is going to Honolulu. They also did the work for two Cape May-based cutters, the Rollin Fritch and the Lawrence Lawson. The ships are being built by Bollinger Shipyards in Louisiana. A Congressional Research Service report last year said the cutters are costing the government about $3.8 billion, or about $65 million apiece. Pipe Dreams deals with Bollinger. Once the parts for the awnings are assembled, they are broken down, placed on a trailer and shipped to Louisiana, where Bollinger installs them, Battin said. The effort is part of the Coast Guard updating its fleet of fast-response cutters. Donald Battin said the awnings offer shade for those on the ships, to keep sun rays from deteriorating plastic and vinyl, and provide shelter for migrants who are taken from the water and transported. One awning takes about three weeks to make, he said. Battin said he got started doing awnings for Coast Guard ships years ago when some officers requested the covering on smaller ships, one specifically so he could smoke cigars on deck in the rain, Battin said. The use of the awnings grew, and they were formally requested as parts of the new Coast Guard cutters, he said.